The web is chock-full of insight and ideas for non-profits and membership organizations. Here are just five of the posts that we've bookmarked on Apricot Jam this week. There are plenty of innovators in the events industry. People that care about how they deal with customers, partners and management. Then there are others who simply do not care and would do everything it takes to sell a ticket. Here is a collection of their most recurring lies. 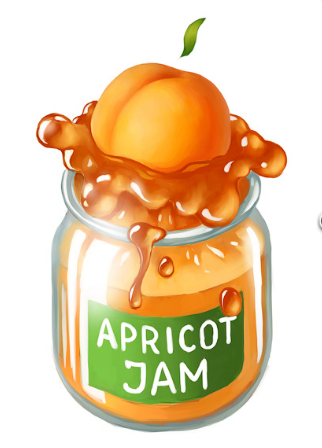 You’ll find this and many other links bookmarked in the Events section of Apricot Jam. Find this and other links bookmarked in the Fundraising section of Apricot Jam. Your website is your primary marketing machine on the internet. It’s the headwaters people go to when they want to swim upstream to find out what you’re really about. It’s also the place where you convert email subscribers, donors and volunteers. This is why your content has to be awesome! You'll find this and other links bookmarked in the Technology/Website section of Apricot Jam. Does Anybody Read Your Publications? I just received a magazine from my alma mater. I quickly leafed through it, then tossed it in the recycle bin. I may not have been interested in the content, but I'll remember receiving it (more than I'll remember receiving an e-mag). … So, when deciding whether to publish something (in print or online) consider the value of the transmission of the information, not just its quality or appearance. It may be worth sending it to everybody, even if some folks choose not to read it. You'll find this and other links bookmarked in the Membership section of Apricot Jam. Check out this link and many others in the Communications section of Apricot Jam. You'll find these 5 fresh links - along with many other articles and posts offering current information for non-profits and membership organizations - bookmarked on Apricot Jam. We hope you'll visit often to check-out the latest posts or subscribe to our RSS feed. Have you read any great non-profit posts lately? Let us know in the comments below.